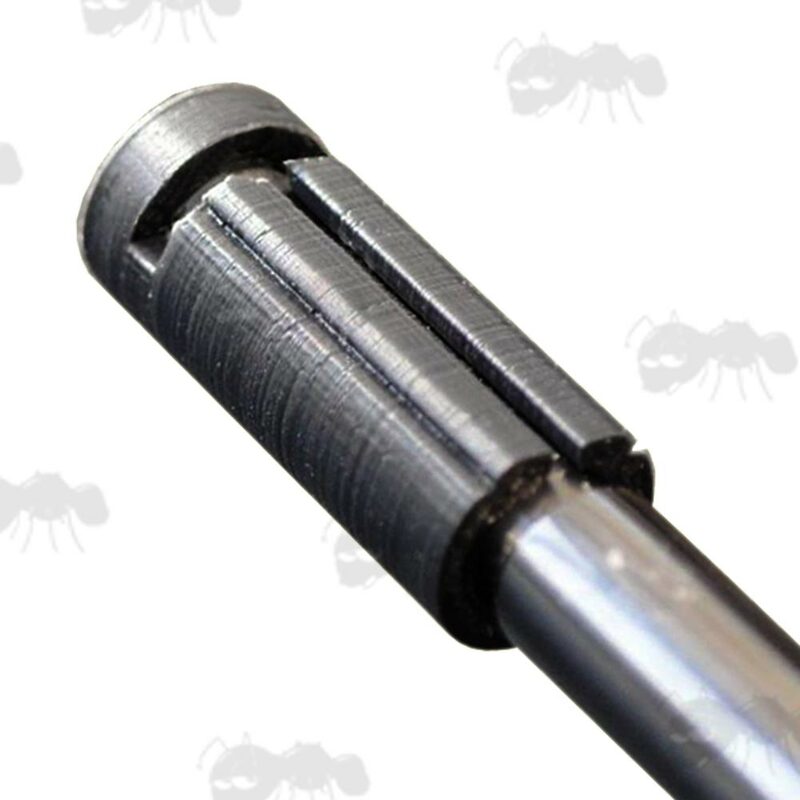 Grub screws for the metal version are available here Air Arms muzzles. Provides a 9-11mm dovetail rail. Good for temperatures up to 104℃. Weighs approx ~ 4 grams. 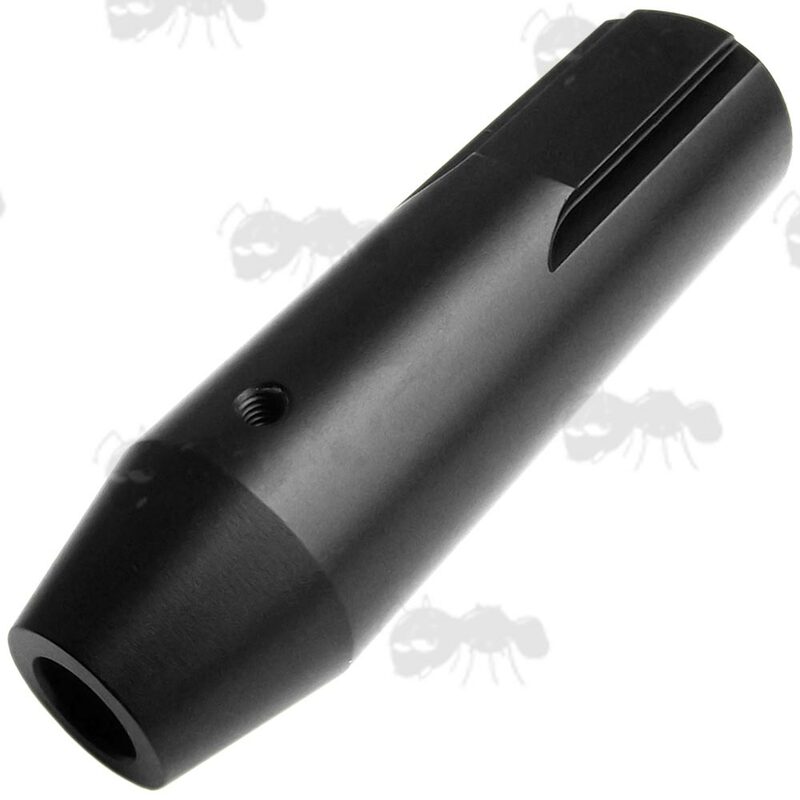 Muzzle end dovetail groove rail mount adapter for 10mm barrels such as the Air Arms S410. 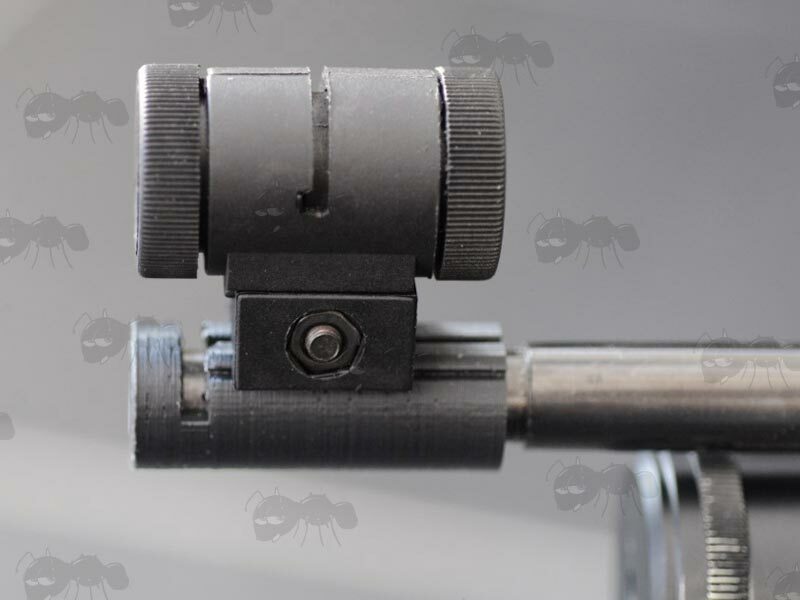 as it holds in place with the pressure from fitting the diopter sight to the rail. It can not be fitted at the same time as a silencer. Also available ~ Air Arms S200 / MPR railed muzzles and grub screws.